Basketball shorts for adults. Cut and sewn with mesh fabric.Elasticated waistband in frayed fabric. Normal fit. Specially designed for basketball. The Minnesota shorts by Erreà (for men) are the perfect match for the same line's basketball jersey. 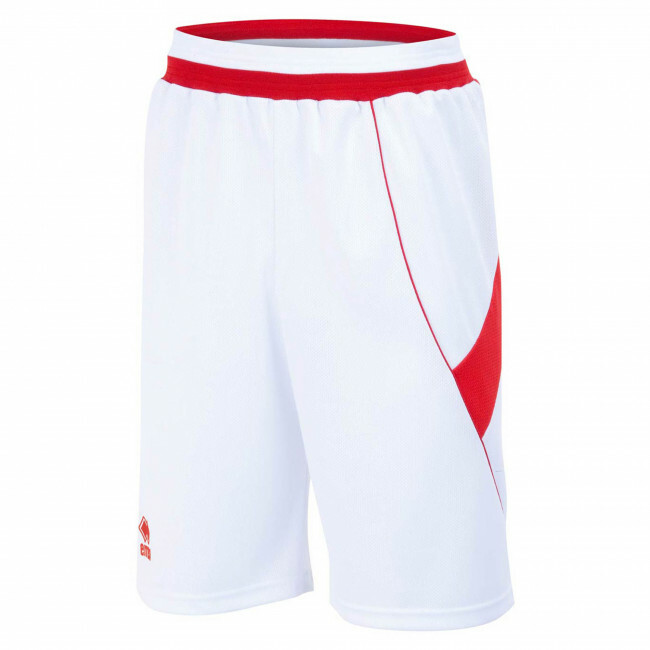 These basketball shorts are perfect to wear toboth games and training sessions. They have a long and wide shape to provide the greatest freedom of movement and are made of breathable, resistant and stretch mesh fabric, for total comfort. They are available in a variety of colours and, to improve wearability, they come with a high waistband that makes them extremely comfortable to fit and wear.